Fasson Employees' Federal Credit Union offers some of the most competitive rates anywhere. There are no prepayment penalties or hidden charges. Interest is computed for the time you have the money, also known as simple interest. Payroll deduction creates a painless way to make your loan payments. Need a low cost loan or want to refinance a loan from another financial institution? Apply for a loan on-line or over-the-phone. Call the Loan Connection at (440) 358-2100. "SIGNATURE LOAN" - Loans for any reason. Pay fixed rate and no collateral needed. 30 days Fasson Credit Union seniority is required to receive a signature loan. Maximum loan amount is $10,000 with a maximum term of 72 months. "VEHICLE LOAN" New Car/Truck, preowned car/truck, motorcycle, RV, Boat, ATV. Fasson Credit Union will hold the title to your vehicle. "SHARE SECURED LOAN" - Borrow using money in your share account as security. Automatic approval and your funds earn dividends while they secure your loan. Please include a copy of a recent paystub with all applications. All loans are subject to credit approval based on verifiable income, debt, collateral value and credit score. 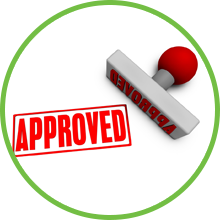 Any requests beyond or outside our loan approval guidelines may be submitted to the Board of Directors for approval. "The Ohio laws against discrimination require that all creditors make credit equally available to all creditworthy customers, and that credit reporting agencies maintain separate credit histories on each individual upon request. The Ohio Civil Rights Commission administers compliance with this law." All loan requests are subject to credit approval based on verifiable income, debt and collateral value.